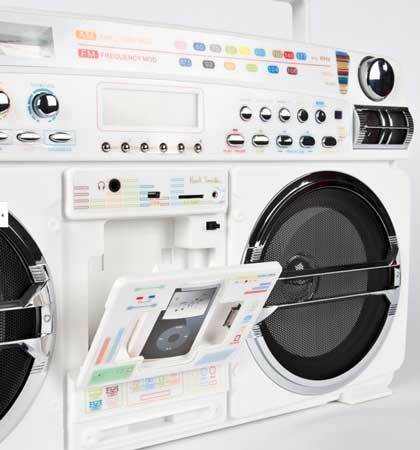 The Boom Box, that staple of hip, street-style 80s music clips is revived by companies now and then, as with TDK’s BoomBox last year, and now Lasonic have released the 931X White Boom Box. 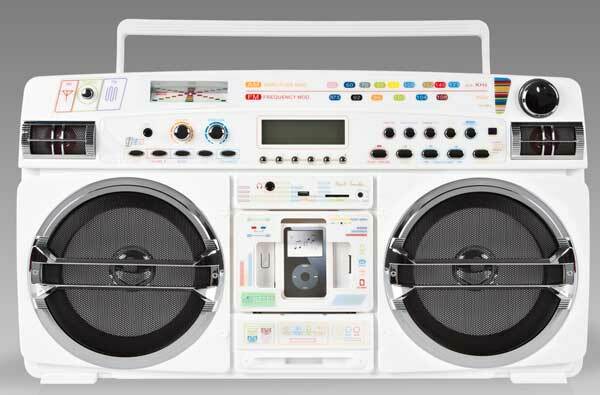 The Lasonic 931X adds a 21C twist, with an iPod / iPhone doc, and instead of the bank of 80s-style LEDs, they’ve gone instead with a veritable bank of coloured buttons and controls, that give the 931X a vaguely kid’s toy look. Don’t too excited if you actually like this device. One, they don’t ship to Australia. Two, only 100 of these have been made. Still, I thought you might like a look at the chunky beast. If you’re reading this in the UK, the cost on the Lasonic 931X is £299.00.